Really profound, uncompromising faith of the sort Jesus demanded is an uncomfortable thing to be around – particularly for believers like myself whose comparative lack of dedication and sacrifice is driven home. Did Jesus really want us to sell all we have and give it to the poor? Leave the dead to bury their dead? Sometimes there’s a bit of Hebrew hyperbole, but most of us know we haven’t really taken the ultimate path as disciples, forsaking all we have. Of course history offers dozens of examples of those who did this. I have been reflecting on two amazing women whose faith and authenticity are on another plane. The first is Simone Weil, the French Catholic mystic who starved herself to death at 34 in sympathy with the uprooted victims of World War II. Weil was an astoundingly original thinker who refused to let convention shape her, a woman of incredible moral courage. 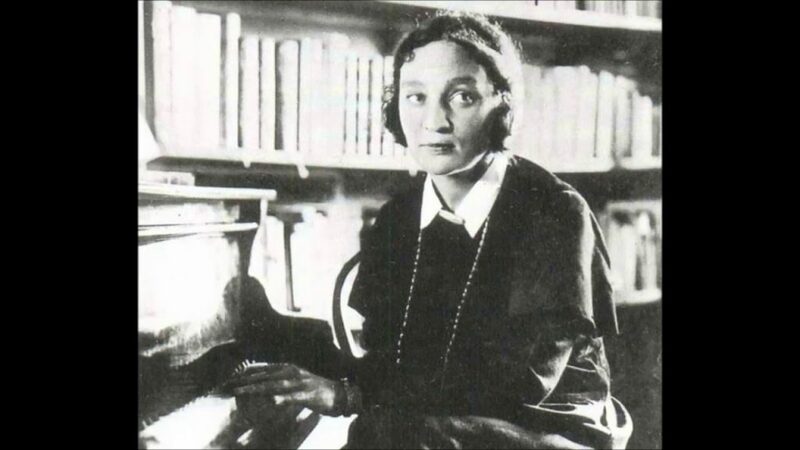 The second is the Russian virtuoso pianist Maria Yudina, friend of Shostakovich, who stood up to Stalin. Author Jim Forest described her as a fearless Christian who wore a cross when performing in public – inviting the gulag or a bullet – and who lived a remarkably ascetic life, always wearing the same black dress. Shostakovich said her concerts were her way to proclaim her faith: “she always played as though she were giving a sermon”. The composer once lobbied hard to get her a room, only to find her soon asking again. She had given it away to an old woman. Sviatoslav Richter said she took in the poor and lived like a tramp herself. Insane? Suicidal? Or simply touched by the divine? Stalin heard her playing Mozart’s K488 concerto on the radio and ordered the record sent to his dacha. There was no record: panic ensued. The authorities called in Yudina and an orchestra, and recorded that night. Forest writes that everyone was shaking with fright but Yudina. The first conductor was so scared he was sent home, the second trembled so much he confused the orchestra, so a third finished the recording. They made one copy and sent it to Stalin. The dictator read this potential suicide note and didn’t lift an eyebrow. Arrest orders had been prepared but were laid aside. Apparently her recording of the Mozart was on the record player when Stalin was found dead. Insane? Suicidal? Or simply touched by the divine? It seems to me that sort of ferocious integrity is only possible in combination with the purest faith.